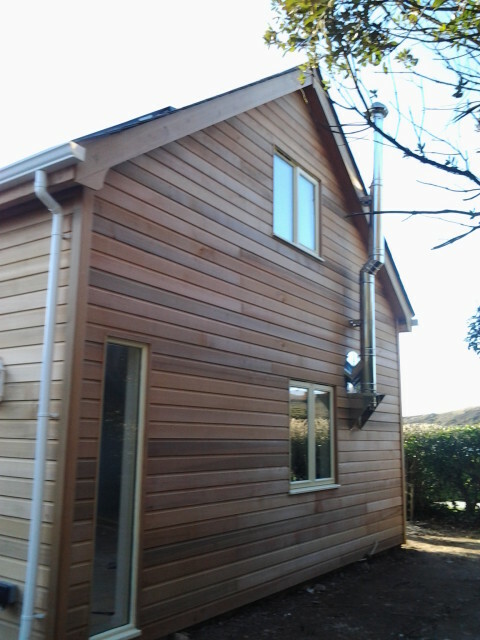 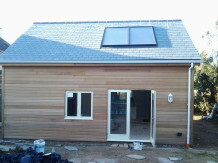 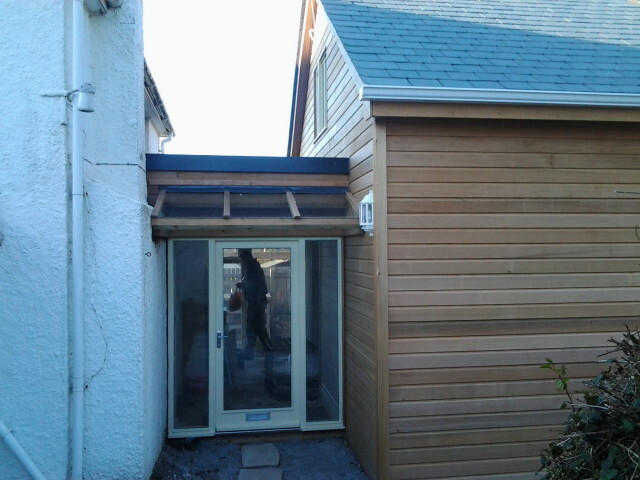 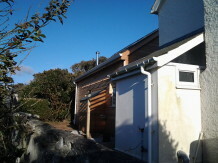 This is a timber frame house extension did in Polzeath, Cornwall. 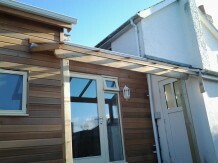 It is a one bedroom extension built to meet current building regulations. 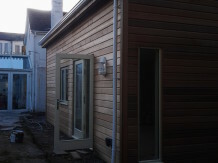 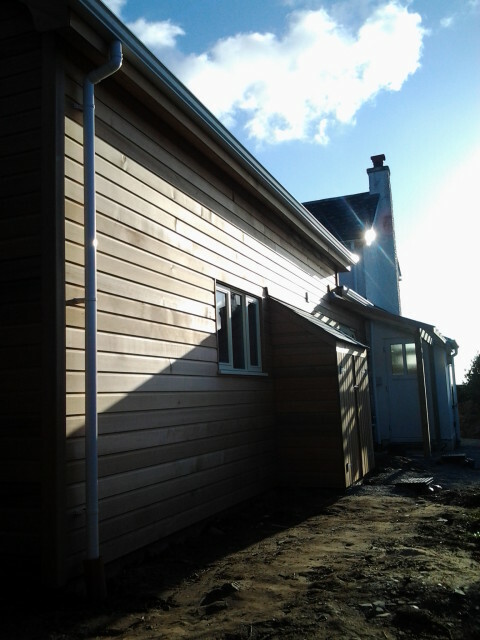 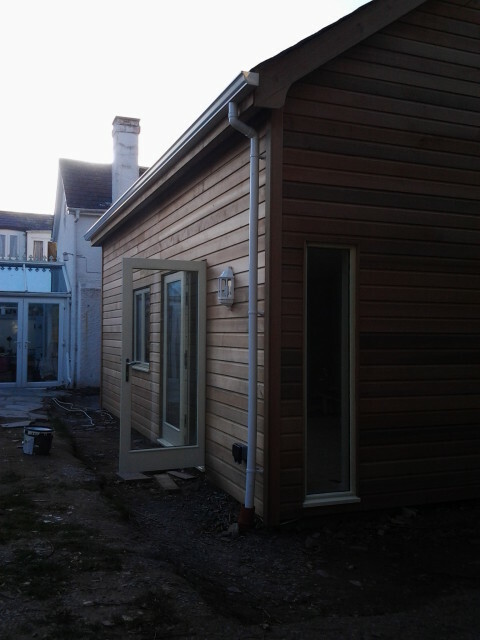 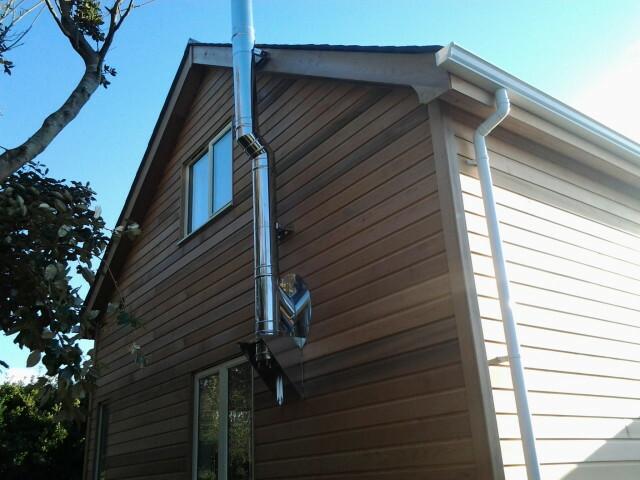 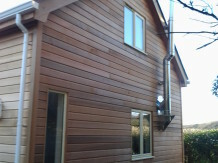 The roof is lsate and the exterior timber cladding is cedar. 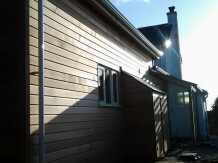 A very popular cladding that requires zero maintenance. 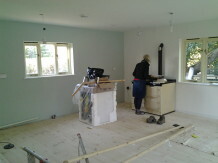 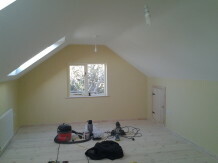 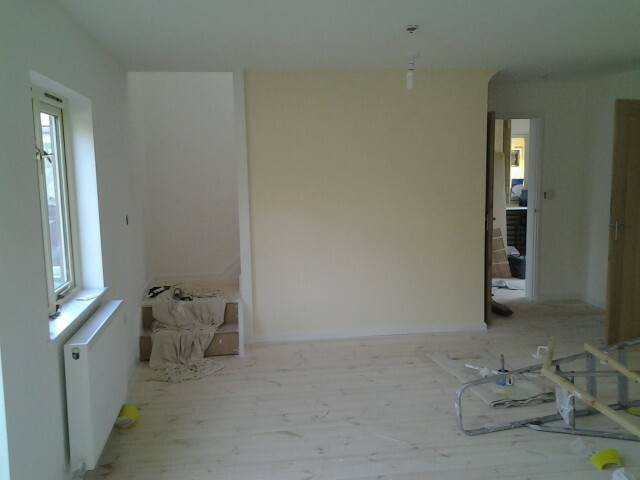 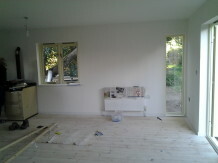 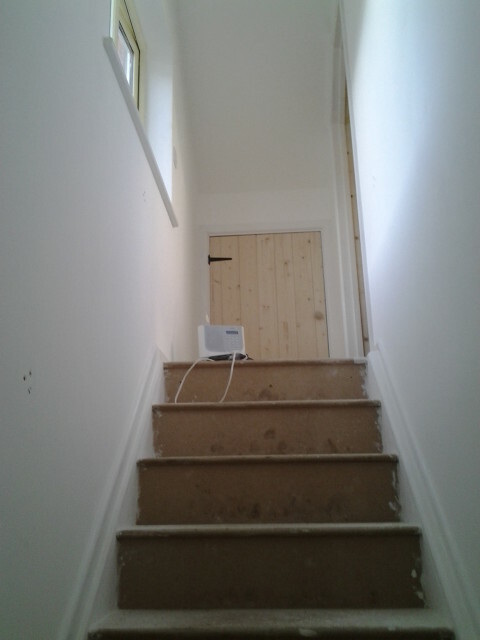 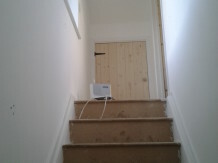 Internally the walls are plasterboarded and skimmed. 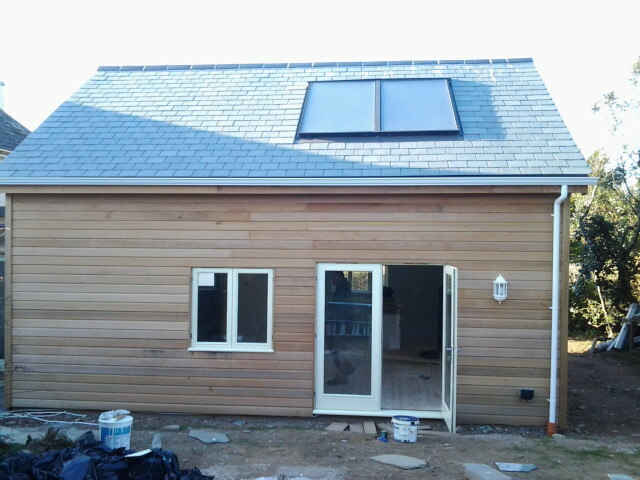 Windows and doors are softwood casement style. The owners moved their aga from the existing cottage and installed it into the extension giving them more room in the cottage.